Reboot-Friendly Recipes You Must Try! Don’t waste time at the grocery store, looking for your next Reboot-friendly recipe. Make one of the delicious mixes below and get all the nutrients you need during your three-day Reboot. Tastes like a milkshake but made without sugar or artificial sweeteners. 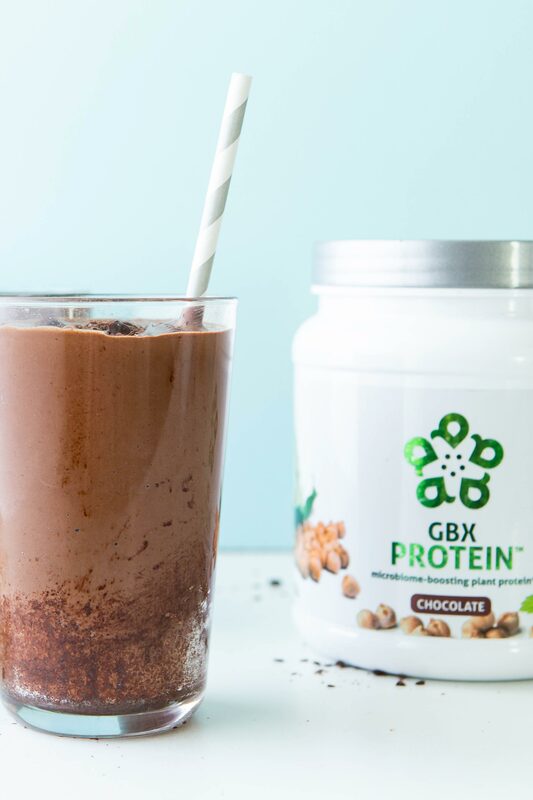 This high protein smoothie is Reboot-friendly (and tastes like dessert!). Place all ingredients in a high-speed blender. Blend until pureed. Serve and enjoy. If desired, garnish with cacao nibs or pure cacao chips. Reboot-friendly! Wake up without caffeine! 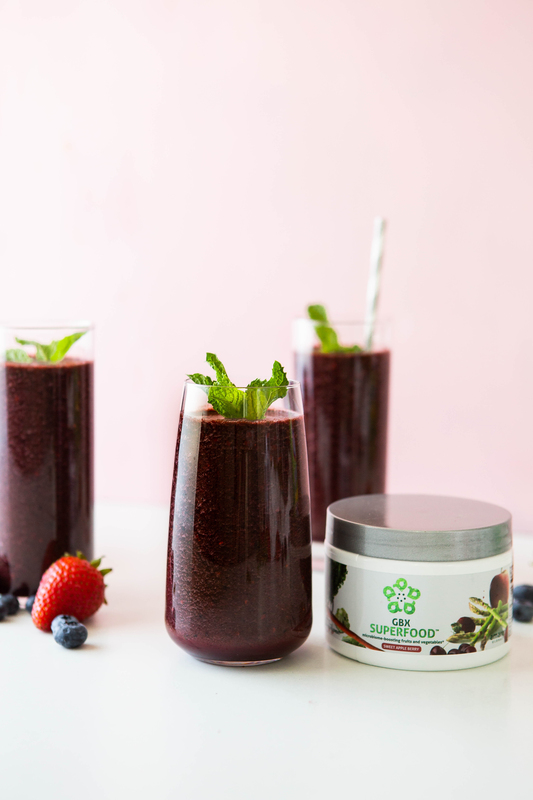 Bright ginger tea, GBX SuperFood and a bright mix of berries make the perfect combo here. A great way to kick your day into high and happy gear. If desired, garnish with a sprig of mint. So creamy, this smoothie could be a custard! So good, it could be dessert. 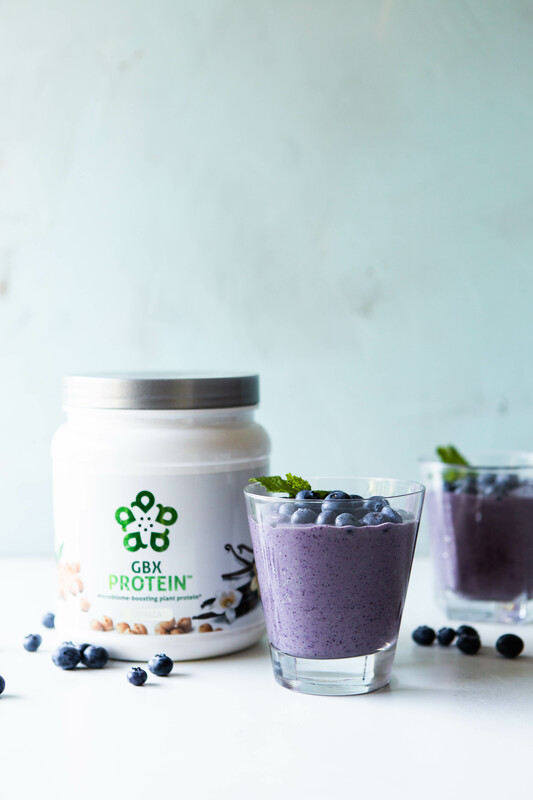 Blueberries and vanilla make the perfect pair in this high protein, naturally sweetened smoothie. Even better, it’s 100% Reboot approved, so you can dive into a tasty treat and stick to your dietary goals. If desired, add 1 cup ice water for a smoothie you can sip through a straw. If desired, garnish with fresh blueberries. When I looked at original REBOOT pack it said to avoid bananas.